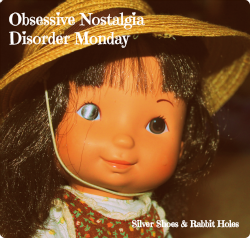 Silver Shoes & Rabbit Holes: Happy Friday! It's Friday once again, and our library bag is bursting at the seams. Our week has been quiet. 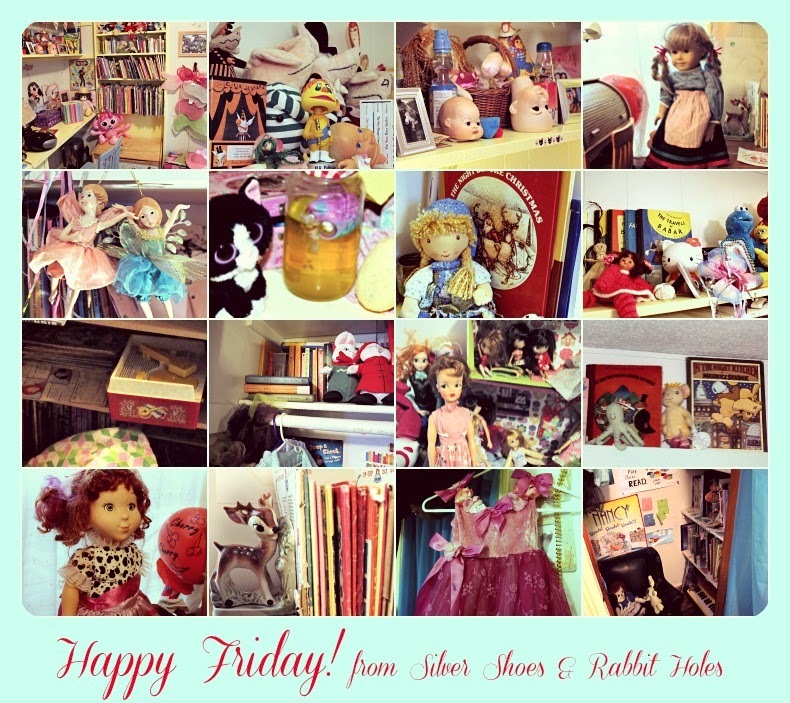 The girls are enjoying their organized playroom and bedroom. As you can see in the photo above, we still have too much stuff, but oh my goodness, if you had seen the donation bags! Someday I'd love to remove all the crayon and stickers from surfaces, perhaps repaint, definitely refinish the hardwood floors... Monday, Little Sis had her best friend from preschool over to visit for the first time in months. Big Sis has been in musical theatre camp this week. Today, her sis and I will go see the final product: a performance of Magic Tree House, Dinosaurs Before Dark: The Musical! I mean, how perfect is that?! As for books, Big Sis is still reading Matilda, although not so much this week - she has lines and songs to memorize. I'm in between books, because I can't decide which on which of the five books to pull out of the library bag first. 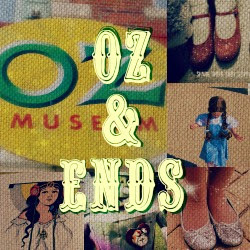 However, let's start with what I finished. 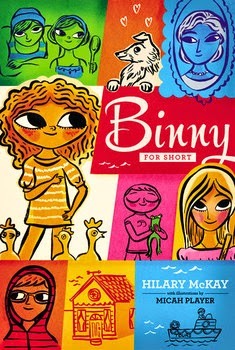 Binny For Short by Hilary McKay, illustrated by Micah Player. Margaret K. McElderry Books, 2013. I admit, I had never heard of this book before I read it. I requested it because of the gorgeous Micah Player cover, he of Lately Lily and Chloe, Instead. I'm not familiar with Hilary McKay. What I got was a unique middle grade novel about a young girl named Belinda - Binny, for short - and her family in England. Binny's father has died before the book begins, leaving behind a mountain of debt. 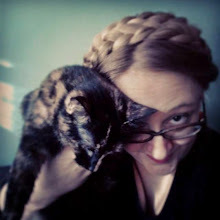 Binny hasn't properly processed her father's passing. Her teenage sister and her little brother had a difficult mourning period, but Binny's grief has been channeled into missing her dog, a border collie puppy given to her by her father the year he died. When her family was forced to move from apartment to apartment, Max was left with her grandmother. Seeing how wild the young, untrained dog is, the grandmother's sister gives him away permanently, never telling Binny where he has gone. It's now two years later, and Binny's great aunt has died, leaving a small seaside cottage to the family. Binny hopes to find Max once and for all. I enjoyed this one. It was funny and touching. 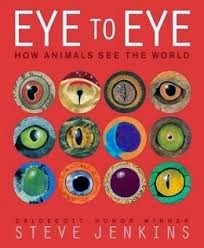 Eye to Eye: How Animals See the World and Never Smile at a Monkey by Steve Jenkins. HMH Books for Young Readers, 2014 and 2009. One of Little Sis's very favorite books is Steve Jenkins's Bones. We own it, in fact, and I read it to Big Sis's second grade class this year. (They loved it.) I decided we needed some nonfiction in our diet, and grabbed both of these. I love these books. Jenkins knows how to make his subjects appeal to the younger set. 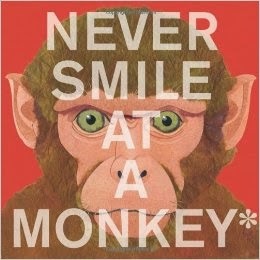 We especially enjoyed Never Smile at a Monkey, which is full of fascinating facts about what makes certain animals dangerous. "Never do this," each page states, "because this might happen." 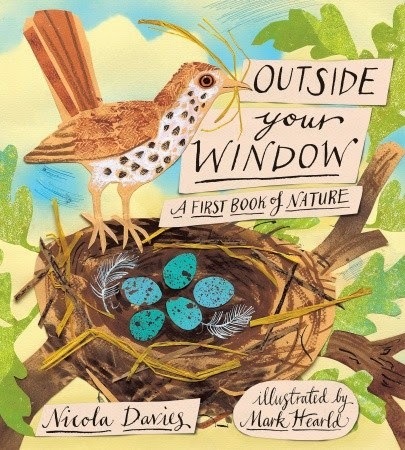 Outside Your Window: A First Book of Nature by Nicola Davies, illustrated by Mark Hearld. Candlewick Press, 2012. I have long admired the gorgeous cover art for Outside Your Window, but it's taken me this long to finally look at it! 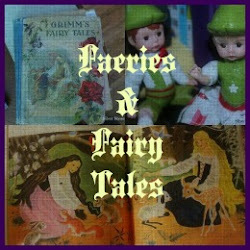 The book consists of lovely nature poems, divided by the four seasons. We have other nature books by Davies checked out now, but this one is truly spectacular because of Hearld's illustrations. Definitely worth a look. 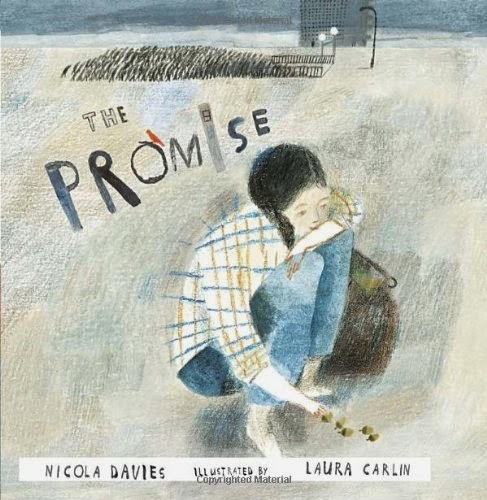 The Promise by Nicola Davies, illustrated by Laura Carlin. Candlewick Press, 2014. And here we have a more recent offering by Nicola Davies, also about celebrating the natural world, but much moodier. A young girl describes the ugly city in which she lives, where everyone is poor and unhappy, and where thievery is commonplace. One night she tries to steal an old woman's bag. The woman fights her, but then lets go, making the girl promise she will "plant them." The bag, she discovers, is full of seeds. The illustrations are appropriately dark through the first half of the book, then blossom into beautiful color as the story progresses. And look - there's a video for this one! 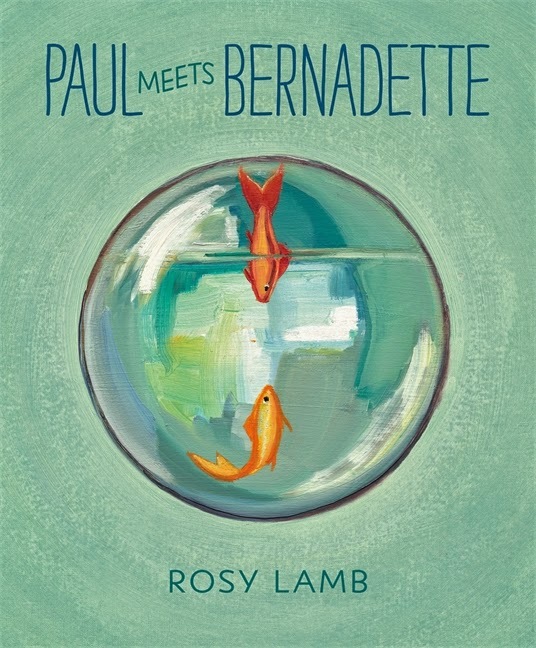 Paul Meets Bernadette by Rosy Lamb. Candlewick Press, 2013. Oh, goodness, where do I begin? This book is precious. Poor Paul leads a pretty dull life. All he does is swim around in circles, first one way, then the other. Then one day, Bernadette is plopped into his bowl, and Paul's whole world changes. Bernadette teaches him to look at the world outside the bowl. 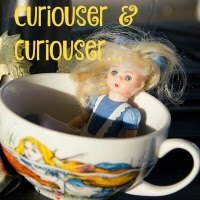 In Bernadette's world, a teapot is an elephant, and when the teapot is pouring into the tea cups, it's the elephant feeding her young. The cartons, cans, and bottles of the kitchen are a whole city. To Paul, Bernadette becomes his whole world. Beyond the sweet plot, there's the art. Big Sis kept reaching out to touch the pages, because you can see the brush strokes on each page. The whole page! Each page is a beautiful painting. Very well done! 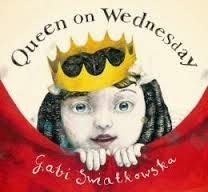 Queen on Wednesday by Gabi Swiatkowska. Farrar, Strauss and Giroux / Frances Foster Books, 2014. Big Sis noticed this one on the new release shelf at the library and thought it looked intriguing, so into the bag it went. It's a simple book about young Thelma, who is very bored on Monday and Tuesday, so she decides to make herself queen on Wednesday. She spends a week doing queenly things until she becomes bored of being queen. I was less fond of the text as I was of the illustrations. I recognized Swiatkowska's art right away: she illustrated Kate Hosford's Infinity and Me, which we read last year. 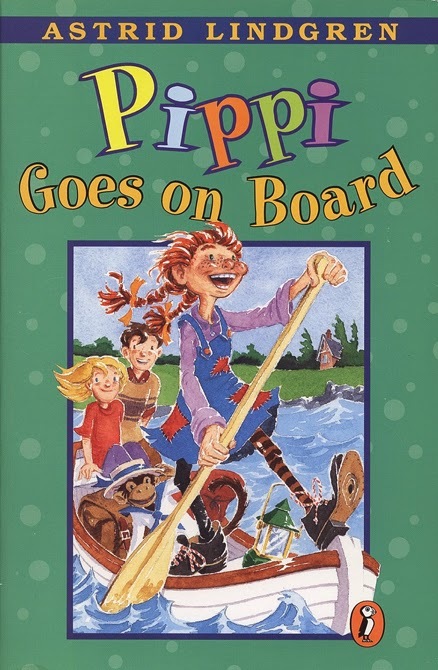 Pippi Goes On Board by Astrid Lindgren. Originally published in 1946, this edition is published by Puffin, 1976. Yay, we're reading Pippi Longstocking books again! We had a rollicking good time revisiting Villa Villekulla at bedtime this week. In fact, Pippi is probably a poor choice for bedtime reading, as her adventures are too funny and exciting. Oh, well! It's summer, right? 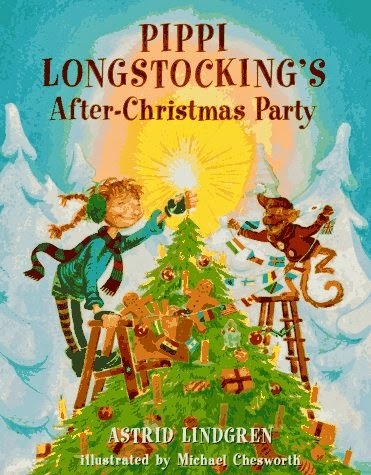 Pippi Longstocking's After-Christmas Party by Astrid Lindgren, illustrated by Michael Chesworth. First published in Sweden in 1950, this edition was first published in English by Viking, 1996. 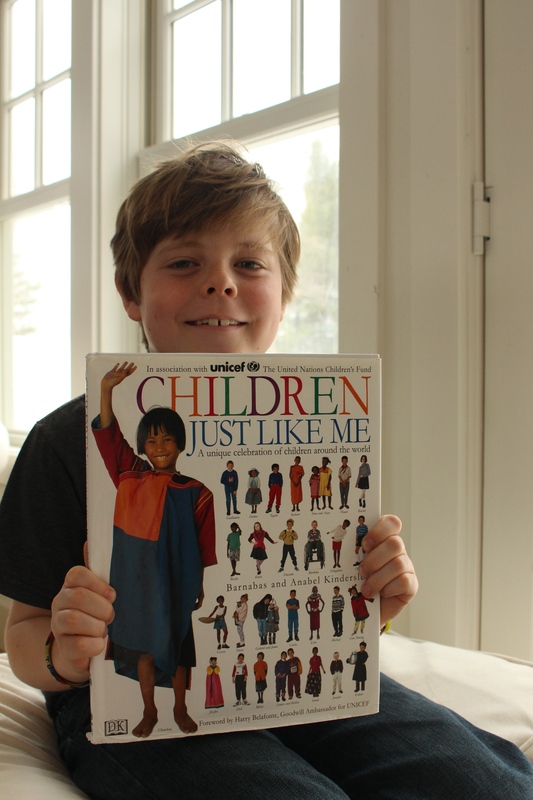 We took a break between Pippi novels to read this picture book. An after-Christmas party is a big ado in Sweden, as we are told in the translator's note at the beginning of the book. It's when the decorations come down, something I personally detest having to do. Maybe I need to do it Pippi's way! 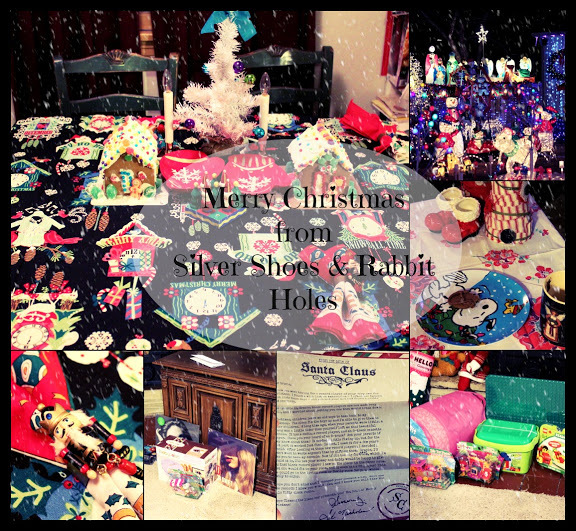 Pippi has invited all the children in town to her house for her after-Christmas party, where her tree is outside, behind her house, and covered in gingerbread, candles, candy, and presents. There is also an igloo, which she built with Tommy and Annika's help. She serves hot chocolate and cream cake. She invites a new boy in for the party, and adopts a stray dog, but refuses to serve the mean old lady who hates children and only wants cream cake. The kids sled off the roof, and they dance around the giant tree. Finally, they climb the tree to retrieve the gifts and treats, with Mr. Nilsson the monkey aiding the less adventuresome kids. I want a Pippi party, how about you? 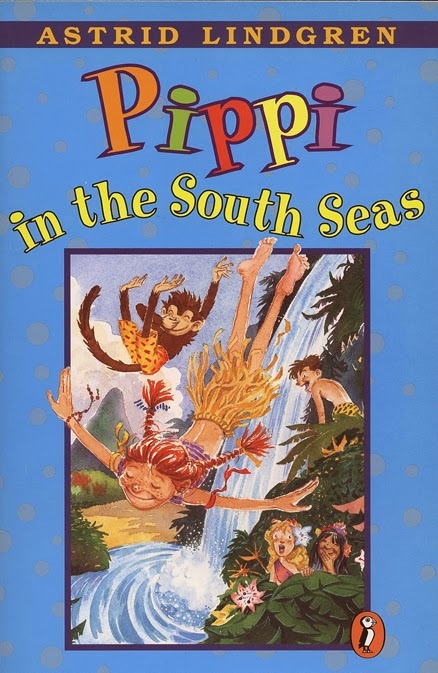 Pippi In The South Seas by Astrid Lindgren. Originally published in 1948, this edition is published by Puffin, 1977. We started this one last night, so we're only one chapter in, but what a great start to a book! A stuffy city-dwelling "important" man wants to buy Villa Villekulla for a country home. Funny stuff! May I pause and say how much I wish Lauren Child would illustrate the rest of the series, the way she did the first book? 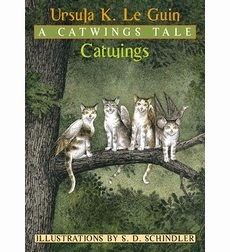 Catwings: A Catwings Tale by Ursula Le Guin, illustrated by S.D. Schindler. Scholastic, 1988. So my funny 6 1/2-year-old got a library card, and she insists on checking out chapter books, despite the fact I think she should stick to, I don't know, Arnold Lobel or Amelia Bedelia. She wants something more challenging, so I handed her the first Catwings book. We have managed to get through a chapter! She reads it out loud to me, then when she finally gets tired, I finish the page for her. She's actually doing all right. I worried she was concentrating so much on the words that she was missing the story, but when I quizzed her later, she was able to answer my questions. We will keep working on it! And oh yes, Sunday is Father's Day, of course! Please look for a special Father's Day post from us on that day. Good job on cleaning out the room and purging the toys! I have to do the same in my boy's room!!! Oh love the Pippi books. I want all of them! BTW I went to the library and got a card for my son as you did for your daughter. Best idea ever! He is so excited about it! And I have enrolled him in a summer reading program in which he can win free books and other prizes! I'll have to post about his books one day. 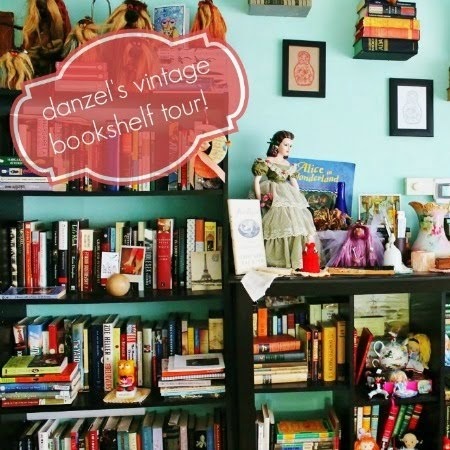 He is doing so good since he got his own library card :) Have a great weekend Danzel! I hate cleaning with a passion, but too much clutter and dirt and mess depresses me. I need to tackle the family room (this room) and kitchen area next. The party is motivation, or at least, it should be. Congratulations on your son's first library card! Yay! We joined our reading program, too. It's such a great way to keep kids reading over the summer. Have a lovely weekend yourself! I'm intrigued by Paul and Bernadette. We loved that one. It is so simple, yet beautiful. you guys are on a big Pippi roll! I heartily approve! Loooooooooooove your book reading posts, so so much. Aww, thanks! It's a sad week when I'm out of books to share. We're loving our Pippi time right now!!! xoxoxo Happy Father's Day to Andrew and happy weekend to you and J!